To further our study of God's will and enjoy the company of the members of the local church, our church offers a number of small groups. We offer men's groups, women's groups, and mixed groups. All groups are open to join and consist, on average, of about ten people per group. For more information contact the church office. This is a 26-lesson study of Acts, the only book of history in the New Testament. In this book we discover how the early church changed the world and how we should be doing the same. Lesson titles include: Finding God's Will, How To Change the World, How To Change People, Maintaining Your Christian Integrity, When Serious Problems Arise, Sharing the Gospel Effectively, Essentials for Conversion, Making World-changing Disciples, Turning the World Upside Down, How To Witness Miracles, Staying on Track Spiritually, Sharing Your Faith With a Hostile Audience, Effectively Tailoring Your Testimony, etc. Like all our "journeys," this study uses exposition plus question and answer format. Meets the 2nd & 4th Sunday at 4:30PM at Dave & Doris Youngs house. What will heaven be like? Randy Alcorn presents a thoroughly biblical answer, based on years of careful study, presented in an engaging, reader-friendly style. His conclusions will surprise readers and stretch their thinking about this important subject. Heaven will inspire readers to long for heaven while they're living on earth. Meets every other week 9-11AM in the church Fellowship Hall. Meets every other week at 8:30-10AM in Room #10 (Educational Wing). For centuries, people have passed on their heritage and history through storytelling. 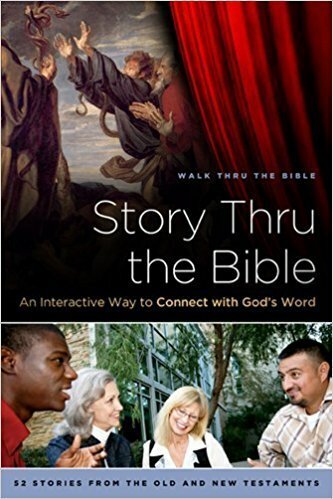 In Story Thru the Bible, you will learn an easy hands-on approach to oral teaching that engages the listener while sharing a biblical worldview. This approach causes the storyteller and the listener to engage in a whole new way while creating a laid-back atmosphere. This step-by-step guide uses 52 Bible stories adaptable to any culture or age group. Comes complete with summaries, questions, and practical applications. Meets every other week at 8AM in the church conference room. We are a faith family seeking to deepen our love for the triune God--Father, Son, and Holy Spirit; as well as grow closer together in love. We eagerly invite our community into this family of faith. We worship Jesus Christ, invite all to salvation in Him, and serve in Christ's name. The Holy Spirit empowers us, and binds us together. In everything Christ is exalted! 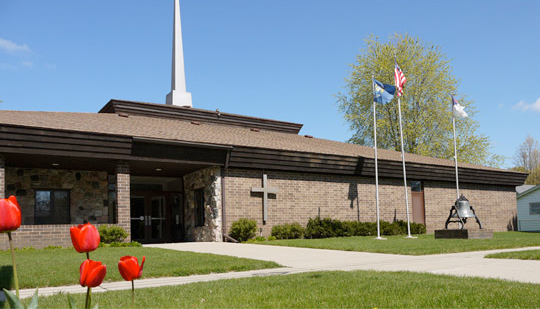 Copyright ©2019 First Congregational Church of Otsego. All Rights Reserved.